Apply for Italian dual citizenship in Italy: a DIY guide - Get Italian Citizenship | The Italian dual citizenship experts. Applying in Italy at your own pace is a great way to discover if you like living in Italy before taking the plunge and moving permanently, or a great way to take advantage of your birthright citizenship after you have already decided to live in Italy long term. Today many towns require that you stay in Italy the entire time your application is processing, so that is what I also recommend. The amount of time you must stay in your town depends on how long your application takes to process (more on this later). The vast majority of applications go smoothly and quickly but some may take up to 6 months or longer. For stays over 90 days, you must obtain a permit to stay (permesso di soggiorno) based on your citizenship application so you are fully legal the entire time. You can apply anywhere in Italy as long as you are a resident where you apply. You do not need to apply in your ancestral hometown. 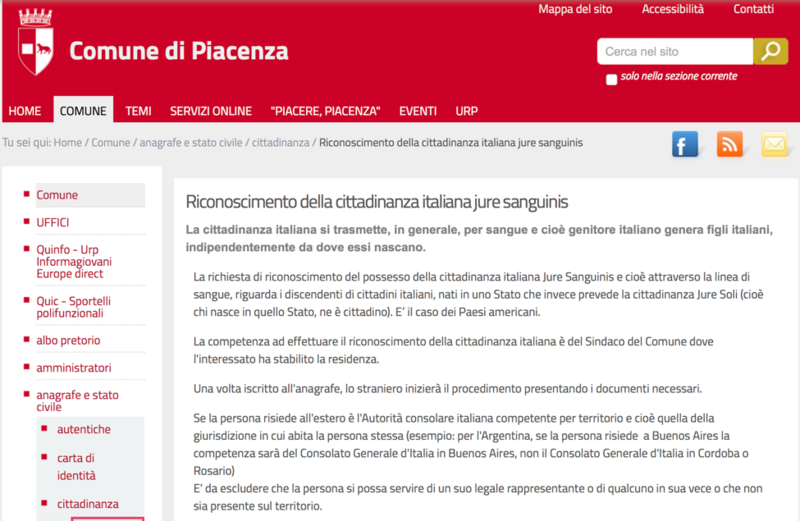 2) If they live in Italy, they can apply in the town where they are an official resident. In accordance with Circolare k.28 of 1991, anyone who is eligible for dual citizenship can apply in Italy as long as he or she has established residency there. In the past, aapplicants had to obtain a permesso di soggiorno per turismo (permit to stay for tourism) in order to enter and stay in Italy to file their application. However, Circolare no. 32 of June 13th, 2007 changed that: after that date the permesso di soggiorno for tourism was abolished, allowing Americans to come to Italy for up to 90 days on just their passports alone. Potential applicants in Italy must apply at any time during those 90 days in order to stay legal and obtain further permits to stay while their paperwork is being processed. Italy is incredibly generous in allowing applicants to do this. 2) If you have a layover in another Schengen Country before arriving in Italy, you must file a declaration of presence (“dichiarazione di presenza”) with the Questura (police precinct) within 8 days of your arrival—this will substitute the lack of a stamp on your passport, and also serves to start the residency process. Keep in mind that just the passport stamp or the dichiarazione di presenza are not sufficient to complete the residency process; rather, they serve only to start it. 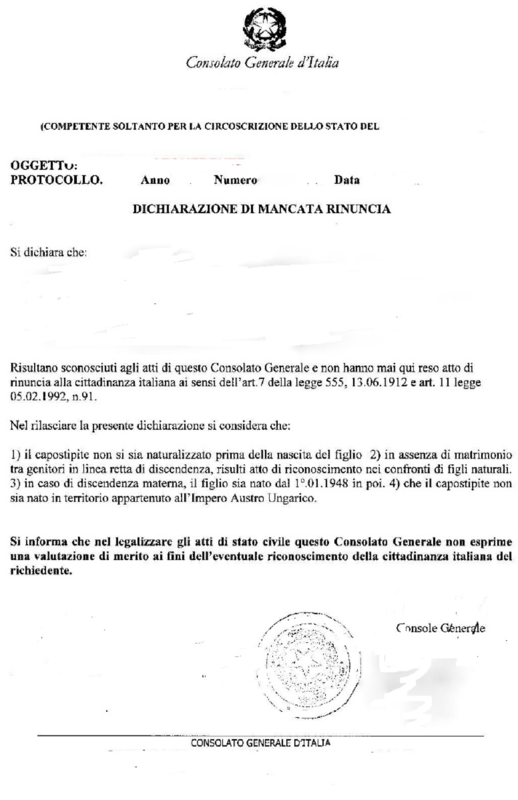 In order to be an actual resident of Italy you must use one of the above in conjunction with either a valid rental contract that is signed and filed with the Agenzia delle Entrate or a declaration of hospitality (dichiarazione di ospitalita’) prepared by a friend, landlord or family member willing to officially host you as their guest. You cannot start the residency process without any combination of the above passport stamp/declaration of presence and rental contract/declaration of hospitality. It is advisable to find a place to live and square away all residency questions before entering Italy. There are numerous websites such as idealista.it, mioaffitto.it, eurekasa.it, subito.it, immobiliare.it, and soloaffitti.it which allow users to contact realtors or private individuals renting their homes. Realtors are well-informed of the laws regarding lawful contracts and can help. Once you have the requisite paperwork, you must go to the appropriate comune office to ask for residency. This is most often the Ufficio Anagrafe. Some comuni are busier and require appointments after a nominal wait while the vast majority will accept walk-ins. As with many things in Italy, this is highly variable and not standardized. At the Ufficio Anagrafe you will fill out paperwork for your residency application. You will most likely be asked for your codice fiscale, which is a unique Italian tax code and is used for anything from gaining residency to going to school, akin to a U.S. social security number. You may not yet have an official one, so you can use a provisional code that you can generate on www.codicefiscale.com (you can also have an official codice fiscale generated by the Agenzia delle Entrate if you are not comfortable using a provisional one or feel you may make a mistake). You will also be asked to provide a copy of your passport. Once you are done with your residency application, you will be given a receipt. In Italy, confirmation of your residency is a two-step process. 1) Once your paperwork for residency is accepted, it takes 2 days (48 hours) to go into the town’s system. 2) After the 2 days are up, your residency must be officially verified. Depending on the town, they will either send an officer (vigile) to your address to make sure you live there, or they will send no one and simply wait the 45 days mandated by law until your residency is implicitly accepted. You do not have to stay in your apartment the entire time looking out the window and waiting for the officer; the comune will let you know around when you can expect the vigile and the visit is actually quite informal. When I applied in Italy, I offered the vigile coffee and we had a nice chat. That was it! 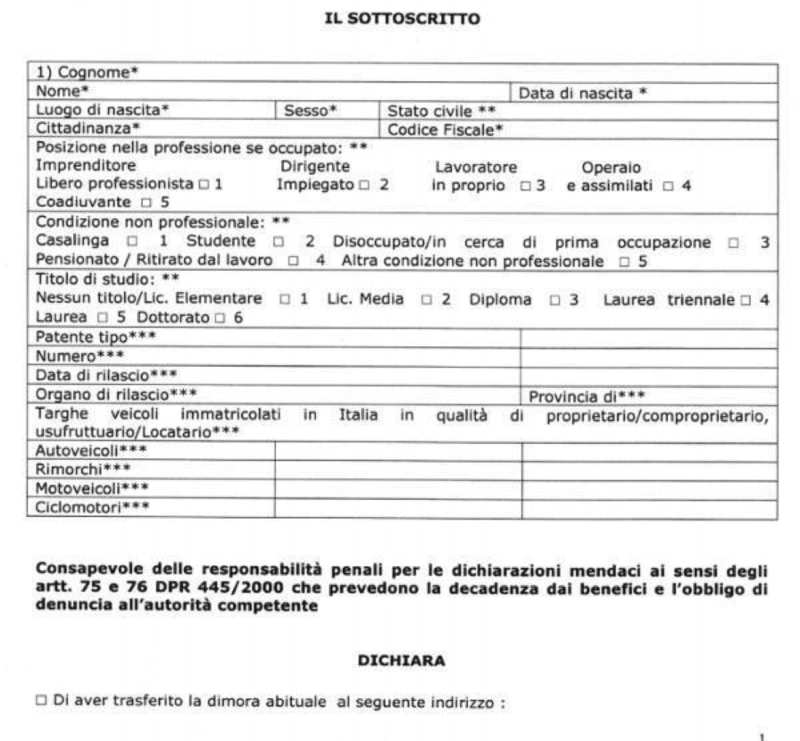 requested residency (whichever comes first), you can go to the ufficio di stato civile/ufficio cittadinanza/ufficio anagrafe (it will depend by comune) to file your citizenship paperwork. The comune officer will want to see your residency paperwork, and will also spend time looking over your various documents including birth, marriage, death, and naturalization records. By this time, I will have already sent your documents to the comune officer in charge well in advance and we should have been able to rectify any missing paperwork/discrepancies. Getting back to your documents: once everything is handed in, you will be issued a receipt. After this step, the comune worker will send an official request to the consulates back home under whose jurisdiction you and your family members have lived. They will ask the consulates to check that nobody in your family has renounced his or her right to have dual citizenship. Once all of the relevant consulates have responded and confirmed nobody in your family has renounced his or her right to citizenship, you’re in! The mayor will sign your citizenship into effect, and you will get a letter or e-mail from the comune. You will then need to ask the comune to transcribe your birth certificate into their local registry. Once that is done, you can obtain an Italian passport, either back at your Consulate in the United States or in Italy where you are living. 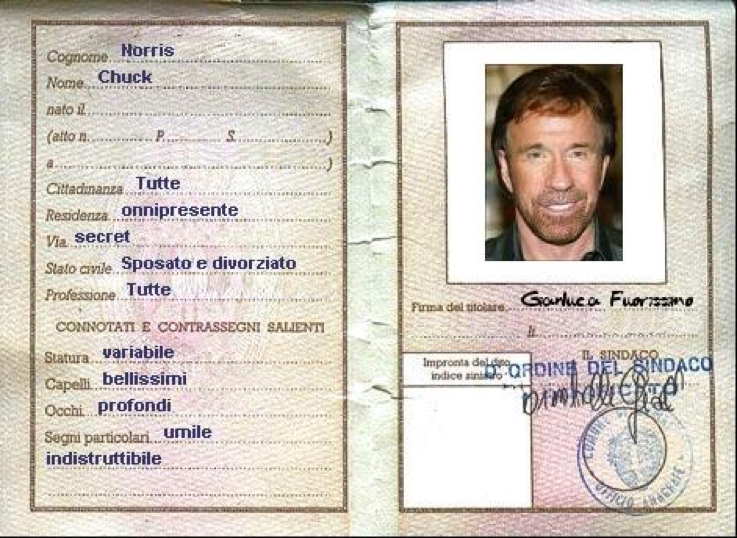 You can even apply for a passport in Italy and delegate someone else to pick it up for you. Super easy! Contact the comune beforehand to inquire about the paperwork they accept or to show them scans of your documents. Have your documents translated and legalized in accordance to the comune’s wishes. Find a place to live or someone to issue you a declaration of hospitality. Fly to Italy: if flying directly, get your passport stamped. If having a layover in another Schengen Country, go to the questura within 8 days to file a declaration of presence. Go to the ufficio anagrafe to apply for residency. Use your codice fiscale. Wait for your residency to be confirmed. Hand in your vital records. Get a receipt. Obtain the permesso di soggiorno in attesa di cittadinanza so you can stay in Italy legally while waiting for your documents to be processed (more info here in Italian: http://www.antonellapedone.com/guide/permesso-di-soggiorno-per-attesa-cittadinanza). This is fundamental, otherwise you will be illegal if you stay past 90 days. Get your birth record transcribed after recognition. Does the consulate keep your documents when you apply for Italian dual citizenship?